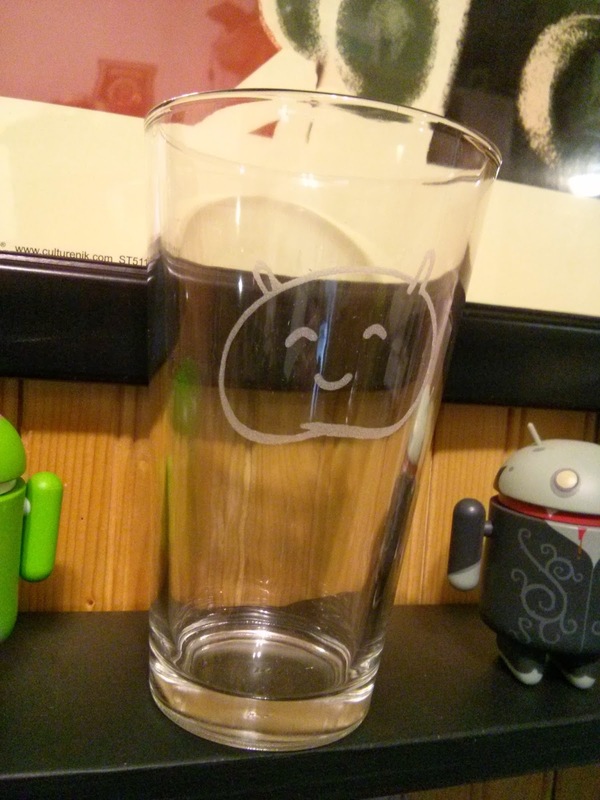 android etch Glasses Got my AndroidEtch Glasses! It's the closest I can say I got "Google Glass"... well, Android glasses. 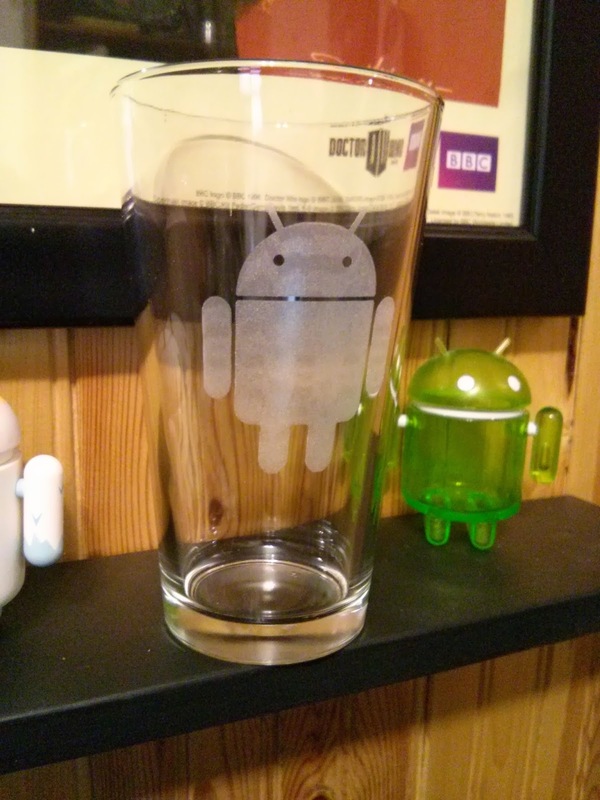 Thanks to +Android Etch I received my glasses in the mail the other day. Came on the perfect day of stress at work and whatnot... was a real treat to enjoy a 'non-stress' beverage with my favourite pal etched on it! Sure, most folks received theirs before Christmas... however, Canadian shipping is pretty slow. Customs like to take their sweet time... and it was over the holidays... and I do live in a pretty 'middle of nowhere' town. All aside, I love my glasses. They make a good addition to my geeky/shrine corner of my house. 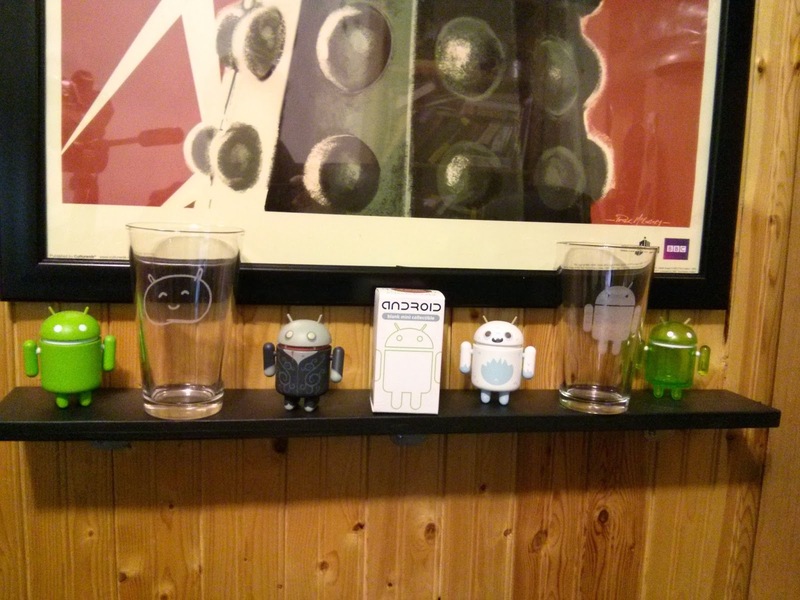 I keep one at work (gotta show off my Android colours), 2 on my Android shelf, and a couple others throughout the house. 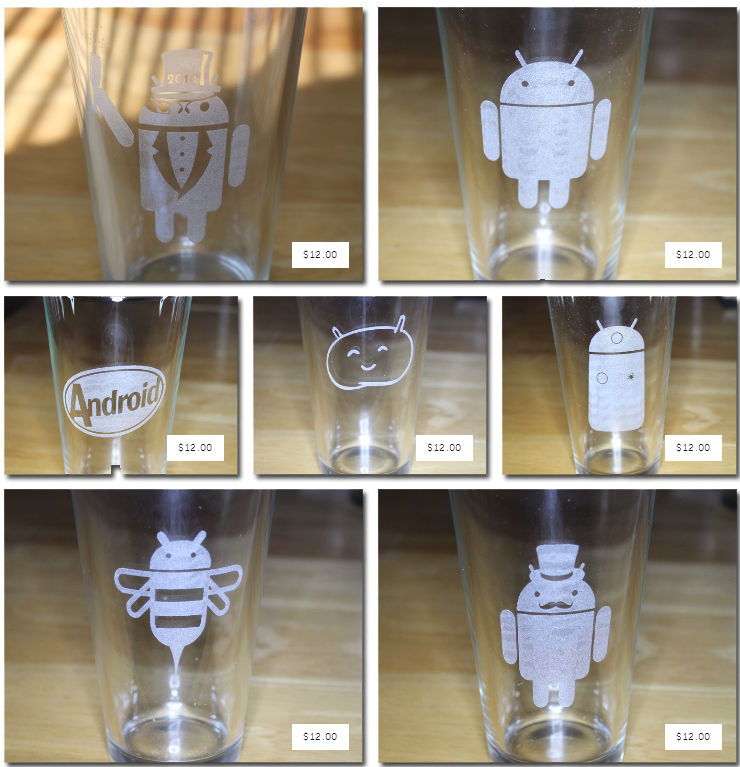 I got the JellyBean one in addition to the standard 'bugdroid'. I think I might still order another... I do like that KitKat logo one. Only $12!